From Southern Vietnam there are two ways to get to Phnom Penh – the easy way and the scenic way. Gluttons for punishment or a sense of adventure, depending on how you see it, we decided to go the scenic way. 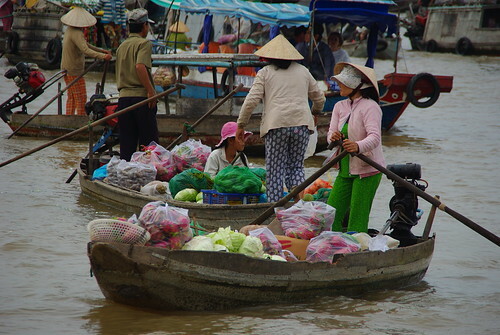 Three days by boat through the Mekong Delta. For me the Mekong is one of those mythical big rivers. Like the Nile or the Amazon, the Mekong is the lifeblood of Southeast Asia. Running from its head waters in Tibet 2,703 miles to the South China Sea, the Mekong Delta is the center of Southern Vietnam’s economy. From lively and extensive floating markets, to small villages and Buddhist temples hidden in caves, the area is rich in activity. Our Mekong Delta tour was pretty much as expected, a tour that shuttled us through tons of places in very little time stopping at everyone’s souvenir shop along the way. Typical on these kinds of tours, we sampled tropical fruits while listening to traditional music (CD: $10), coconut candies (one package: $1), and a rice noodle factory (1 kilo of noodle: $2). 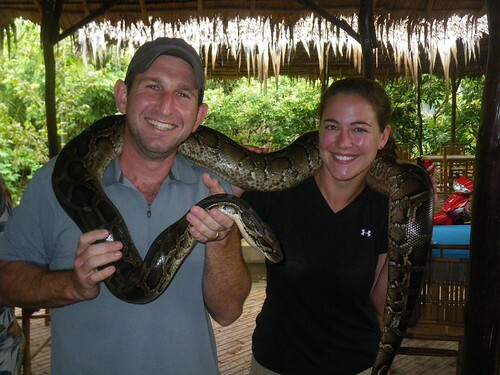 And then there was the Burmese Python, which thankfully was free to touch. As you can tell by the pictures, I was slightly freaked out by the whole thing. Slightly is an understatement. Although the area is undergoing dramatic economic development, most of the population still lives by the river’s waters. That’s the real draw to the area, and although we spent most of our time on uncomfortable wooden boats, it was interesting to see life along the river. Besides being the local “highway”, the river also supports several floating markets, floating residences and a huge variety of floating businesses from fish farming to restaurants and even the border post. That’s right, Vietnamese Immigration is a floating building on the Mekong. We’ve crossed numerous border, a few have been over water, but I’m pretty sure this was our first floating border post. Thankfully the Cambodian officials chose to build their post on land and at least for a little while we were able to get off the boat. In a van for the last 40km to Phnom Penh, our driver turned on his favorite music- 1998 pop music. Song after song from artists that should never be heard from again (Jamaraquai, Aqua…) we laughed in disbelief as song after song blared through the speakers. Finally we surrendered and by the time we arrived in Phnom Penh the entire van was singing along to such favorites as “Barbie Girl” and “Spice up your life.” Welcome to Cambodia. 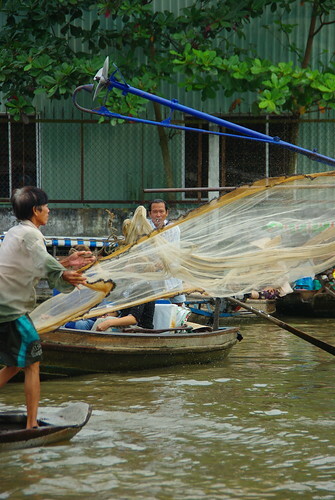 If You Go: Two and three day tours are easy and affordable and easy to book in Ho Chi Minh City. You can get around the region independently but it is time consuming. Be prepared for an onslaught of souvenir shops. If you do cross the border into Cambodia, you will have no choice but to pay a $1 stamping fee(bribe)to the immigration officials. Visas for Cambodia can be arranged at the border,but if you do the tour in reverse,you’ll need your Vietnamese visa in advance. Ethiopia and I are not yet friends. Consular Officer: Your application is approved, go pay $70 each at the bank and then come back with the receipt. Us: We thought the fee was $20? Officer: It is if you fly, or if you belong to ANY OTHER NATIONALITY IN THE WORLD, but as a big thank you to all the American tax dollars that are sent annually to Ethiopia by the CDC, USAID, HHS, and other sources we figured you could do without this money as well. Military Police Officer: Why did you drive past my road block? There was no roadblock. The arm that was meant to stop traffic was located in front of the immigration post and was up, allowing us to pass. As the officer questioned us several other cars and motorcycles went past without stopping. As he continues his questioning a second man, wearing a Tommy Hilfiger shirt walks up to the driver side and demands our passports. Us: We were looking for you, where is the immigration and customs offices, where do we go now? Officer: Immigration is closed for 30 minutes, this man (motions to the man in the Hilfiger shirt) is from there and will review your passport. Us: Where is your uniform, can we see your ID. Us: No but everyone is surrounding us, and you don’t have an ID or a uniform, how do I know you’re with immigration? Military Police Officer: Go back to Kenya. We eventually relented (we had no choice) and were allowed to park the car off the road and wait for immigration to open which was not a problem. 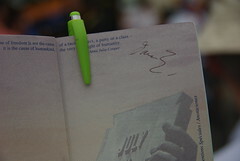 Then the customs agent had to be called to the office – he was at home, where else would he be – to process the car. We then drove away and had our first Ethiopian food (which was quite tasty and cheap) and for a few short moments felt better about having gone through so much trouble to come here. Then we found chewing gum had been placed on each of the 4 door handles to the car. 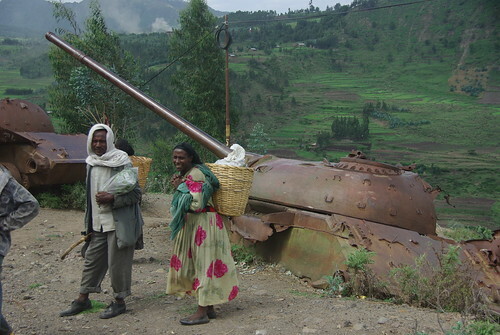 Yeah….f*** you too, Ethiopia. On our way to Zimbabwe! The concept of hyperinflation is interesting enough. When our friends traveled through, it was phase one of the hyper-inflated currency…a few months later the government knocked 12 zeros off the money and then started all over again before topping out at $100 trillion notes less than a year later. It was only when a new note came out that people understood the value of money…for that new note was generally the value of a loaf of bread. 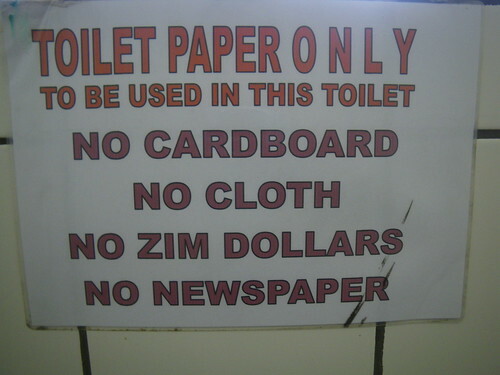 Throughout South Africa, Zimbabwe is generally considered to be a nuisance. The very first border we crossed on this trip, between San Diego, USA and Tijuana, Mexico, was and is the busiest in the world. The crossing from South Africa to Zim, number two, as jobs and supplies push Zimbabweans toward South Africa in much the same way. You can tell from this picture, which was taken inside the ladies room on the South African side of the border, what people think of Zimbabwe’s Dollars! Those same travelers who first told us of the hyperinflation of Zimbabwe back when we were in Guatemala had their own wonderful story of the country as well. Although most people warned us away from this country, those who had been all told us the same thing; that it is stable, interesting, and filled with wonderful people. It is rare to hear comments regarding a “people” so often and so given that the best information we had suggested that it was safe…we decided to enter. Besides, there was no way I was coming all this way and NOT going home with $100 trillion to my name!